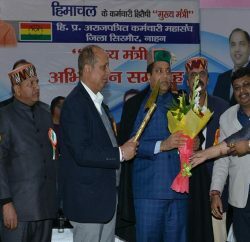 Chief Minister Prof. Prem Kumar Dhumal has ordered an inquiry into complaints against the encroachments over the land of Narsingh Temple in Nahan and ordered for removal of the same so that it may be utilized for devotional activities. He directed the authorities to ascertain the ownership of the land and honour the religious sentiments of the devotees. 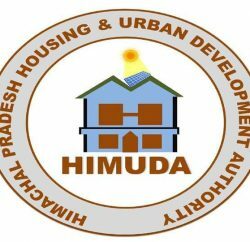 In the other complaint, Chief Minister directed the HIMUDA to settle the claim of A.S.Negi of Jaipur, who had purchased a flat in Shimla on free-hold basis in the year 1995 by paying full and final payment for the same. He directed the authorities to examine the case as per legal provisions made for purchase of such flats and mode of payment decided therein. Chief Minister also directed the authorities to provide information sought by the applicants under Right to Information Act as per the laid down norms. He directed the Deputy Commissioner, Sirmour to deliver relief to Khushi Attri of Nahan who had sought information under the provisions of the Act from Project Director, Sarv Shiksha Abhiyan, district Sirmour.